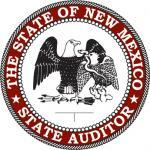 State Auditor Tim Keller announced this morning the annual list of New Mexico’s state and local government agencies that are considered “at risk” based on the latest audit cycle. Since 2009, agencies have been placed on the list if they fail to submit their annual audits. This year, entities were also placed on the list if they received audit opinions indicating significant problems with their financial statements. If public funds are not audited, Keller says, the risks of fraud, waste and abuse increase. “Our tax dollars are best protected when our state and local governments submit timely and accurate audits,” said Keller. “Audits are the most standardized and useful tool we have to reduce the chances that our public funds are misused. The Fiscal Year 2015 At Risk List contains 56 entities that had not submitted audits by the deadline, including the Department of Homeland Security and Emergency Management, the Department of Public Safety, the Martin Luther King Jr. Commission, and a number of cities and counties. Included on the list for submitting late reports are the City of Carlsbad, the Carlsbad Irrigation District, the cities of Eunice, Jal and Ruidoso Downs, the Town of Lake Arthur, and the Village of Capitan. Only two entities comprised the portion of the list denoting significant problems with their financial statements: Lordsburg Municipal Schools and the Town of Estancia. The Office of the State Auditor compiles the list each January and updates it on a weekly basis, removing entities once they have achieved compliance.